Make it your New Year’s resolution to book an event at Street Feast this year. You won’t regret it. What’s next? 2019 is set to be even bigger: Street Feast are on the hunt for new venues; they’re hosting Extraveganza, the brands first ever fully VEGAN street food party at Dinerama; the food offering will be expanding with new world-beating street food traders; Drinks Boss Kev and his team are creating new cocktail menus and the team has big plans for transforming the venues in the summer, so watch this space. Our 1,000 capacity, all-year-round street food arena in the heart of Shoreditch. Our incredible 2,000 capacity warehouse, extending to 3,000 in the summer. Our 1950s market in Lewisham, open from May to Sep with a 1,000 capacity. Did you know, Hawker House is also the perfect alternative space for large scale conferences? With 1500 square metres of transformable space, our Canada Water warehouse provides a unique urban backdrop, with an unbeatable operations team delivering slick service and catering for all your needs. We believe in work hard, play hard and can offer fantastic after parties to round off your conference, complete with DJs and delicious cocktails. 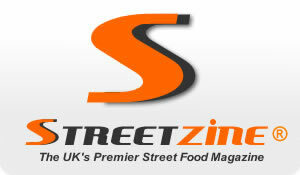 Expect world beating street food and service in a memorable venue.